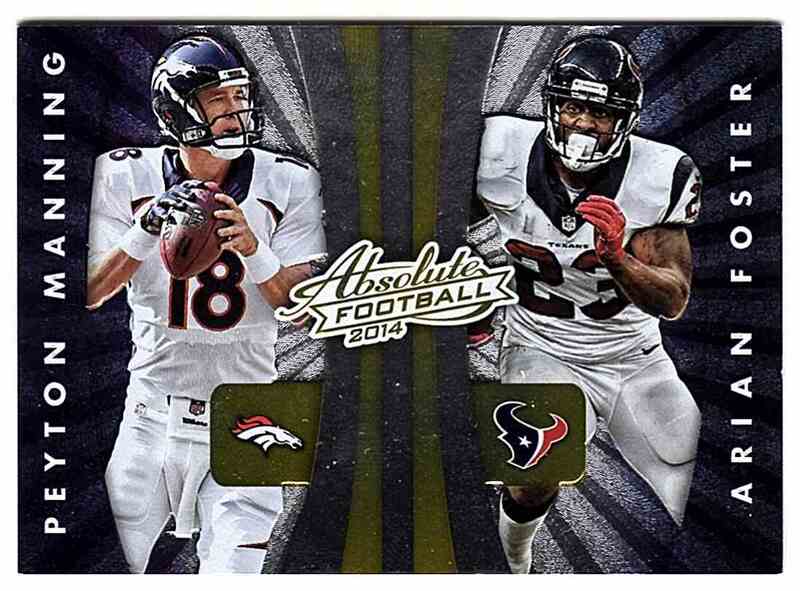 This is a Football trading card of Peyton Manning/Arian Foster/Cordarrelle Patterson/Jerod Mayo, Houston Texans, Minnesota Vikings, Denver Broncos, New England Patriots. 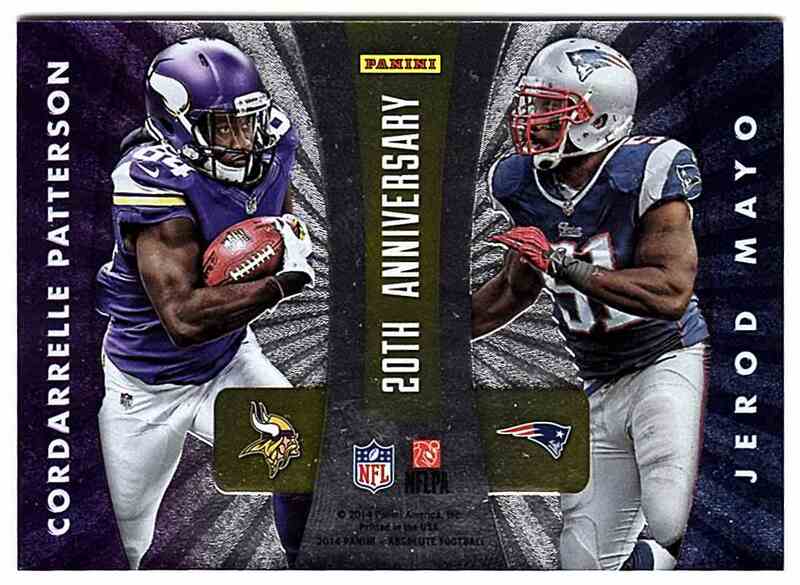 It comes from the 2014 Absolute Quads Blaster Exclusive set, card number MFPM. It is for sale at a price of $ 5.00.